Recent Notification: News regarding vidhyasahayak bharti merit list has been published in local newspapers published in Gujarati language in Gujarat.This is on going recruitment process. An advise is given to all candidate to visit regularly official website of vidhyasahayak for latest updates. 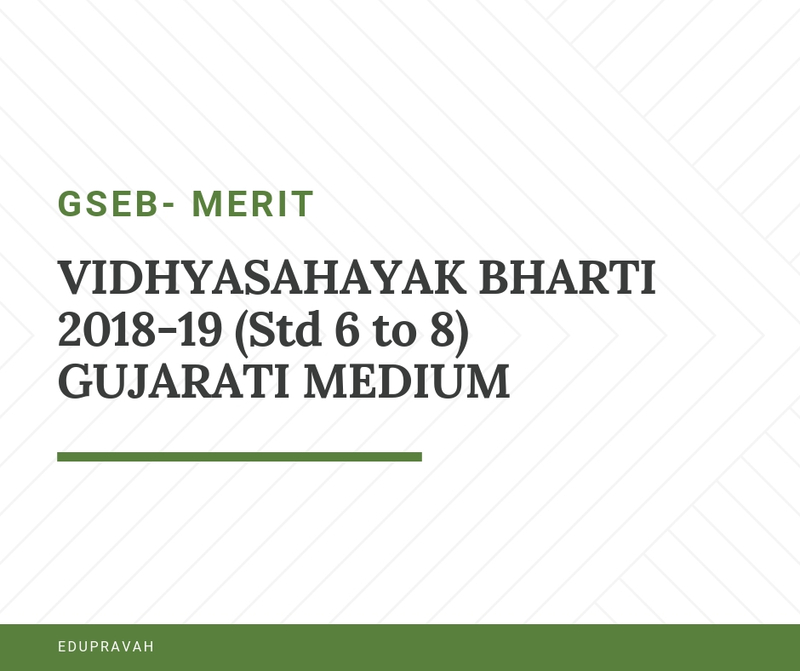 As per notification published in news paper, provisional merit list for the exam of vidhyashayak has been published as on date. 19.10.2018 on the official website of vidhyasahayak bharti. Candidates can find their results on 19.08.2018 at 10.00 am. Thanks for your valuable comments and information shared by you may become beneficial for others.Keep visiting this site for latest updates.